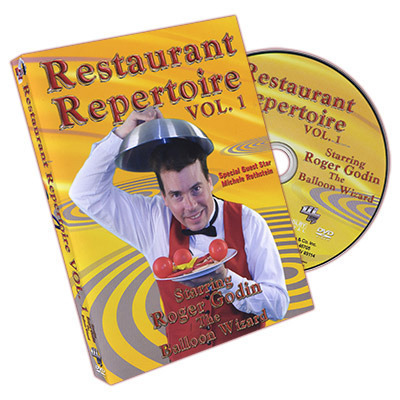 Today, when you order "Restaurant Repertoire #1 by Roger Godin", you'll instantly be emailed a Penguin Magic gift certificate. You can spend it on anything you like at Penguin, just like cash. Just complete your order as normal, and within seconds you'll get an email with your gift certificate. 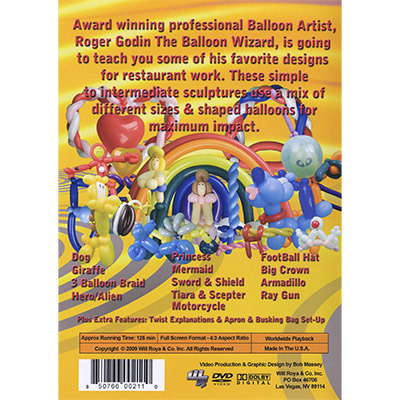 Award winning professional balloon artist, Roger Godin the Balloon Wizard, is going to teach you some of his favorite designs for restaurant work. These simple to intermediate sculptures use a mix of different size and shaped balloons for maximum impact.